ALLEGRA BOVERMAN/Staff photo. Cambridge: Mika Oba, an organbuilder with C.B. 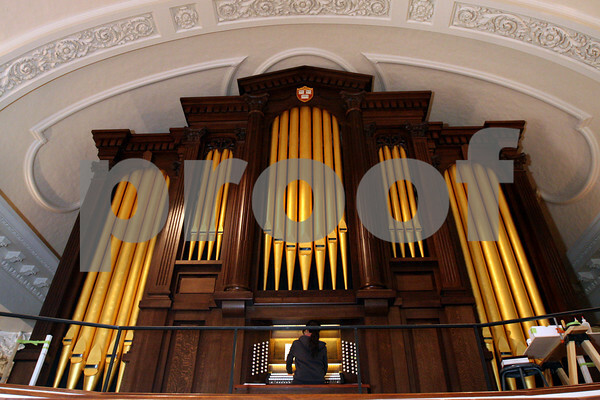 Fisk, works on the newly installed pipe organ inside Memorial Church at Harvard University. She and tonal director David Pike are finetuning the organ pipe by pipe.